Imagine a website where resorts and HOAs can safely send their members looking for a way to sell and rent timeshares – without the hassle of dealing with sales staff, middlemen or paying high upfront fees? A place where owners can successfully negotiate directly with prospective buyers and renters, yet can have access to a customer service team that is one of the best in the timeshare resale industry. Resort managers and HOAs are taking notice, as SellaTimeshare.com has launched a new program where owners can leverage the 16 years of resale experience behind the company. 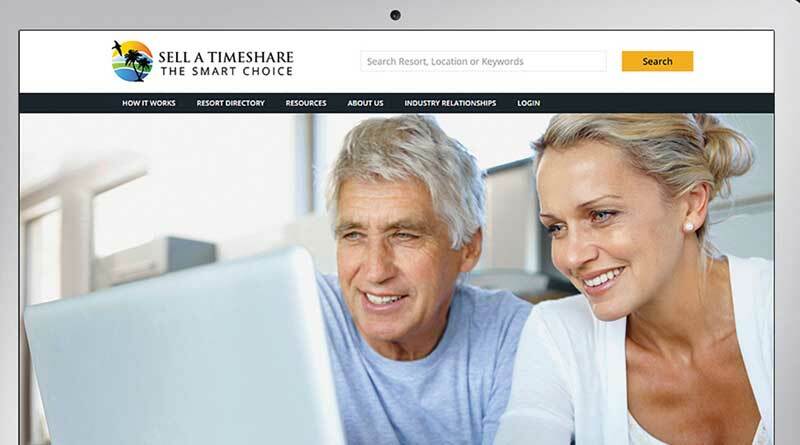 A site with the effective online marketing expertise that attracts one million visitors a year to its platform in search of timeshare information – consumers actively seeking the timeshare product online. And with a first-of-its-kind subscription payment plan that is the lowest in the industry, the program is simple, reliable and affordable. SellaTimeshare.com lets owners advertise on a month-to-month basis by subscribing to the plan that best fits their needs. For only $14.95 per month, owners can advertise their timeshare for sale on the website and let the online world know they are ready for buyers. Owners advertise for only the time they need, and can cancel at any time with no long-term commitment necessary. Because this subscription program is so new, SellaTimeshare.com is offering the first 30-days of advertising for free when an owner signs up on the site – a sign of confidence in the company’s ability to attract buyers and renters. “We have seen programs come and go in the timeshare resale business and understand the complexities of the online resale marketplace. We know that owners can be skeptical when it comes to online resale services, which is why we have eliminated the advertising sales process,” said Chris Hand, Membership Acquisition Manager, SellaTimeshare.com. “Our advertisers have the flexibility of building their own ad and managing the process themselves, taking control of the sale without the worry of commissions or hidden fees. And through their online account, which is included in their subscription, they can adjust their asking price and negotiate on their own terms directly with the buyers,” added Hand. Through the automated system, owners enter their ownership details directly into the website and create their own advertisement as the system guides them through the process. A written agreement is produced, outlining the service provided and signed electronically by the advertiser. And payment is made by entering details directly into the site, similar to an online retail website such as Expedia, so all data is protected and secure. Statistics from the American Resort Development Association show that only one in four timeshare resorts in the U.S. has a resale program in place for their owners. That leaves a lot of resorts that don’t offer resale options and, therefore, have disgruntled members looking for help. For resorts in need of a cost-effective plan to service those owners and help bring in new, maintenance fee-paying owners, SellaTimeshare.com has a plan. Resorts willing to work with them can enter into a revenue-sharing plan where a portion of advertising revenue from referred owners is given back to the resorts, thereby creating a new revenue stream for the resort. SellaTimeshare.com would build a dedicated page on its site for that resort, giving it an online presence through search engine optimization and leveraging the power of the company’s marketing strategies at no cost to the resort or HOA. They would be the ones marketing on behalf of the resort to create a resale pathway for owners and build an online hub of information, all with the input and approval of the resort. The program essentially offers free marketing and additional revenue to the resort in return for referrals. Resorts, HOAs and owners interested in these services are asked to visit www.sellatimeshare.com or call 888-879-7165.